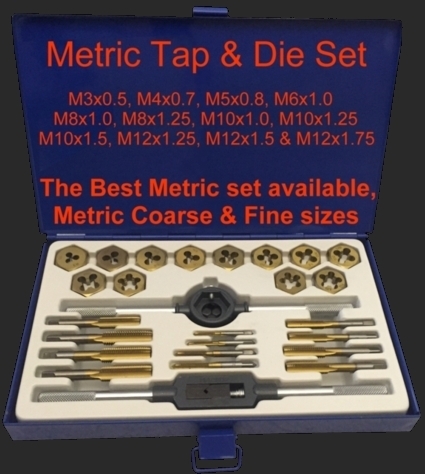 *Metric Coarse & Fine Set / *Imperial UNC & UNF Set. 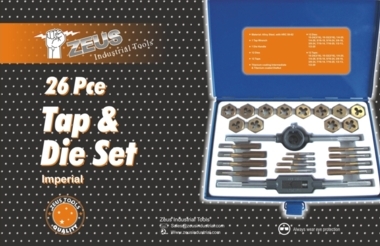 Zeus Tap&Die Kits have been designed in Australia to include all the common thread sizes we use here in Australia. 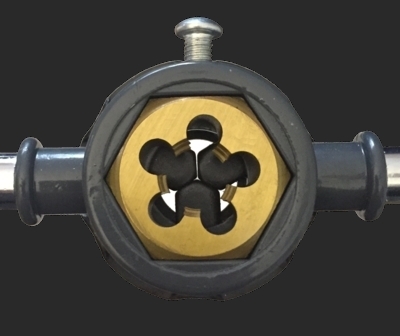 We include an Intermediate Tap, Die Nut, Tap wrench & Guided Die Stock, all included in a strong Metal case. 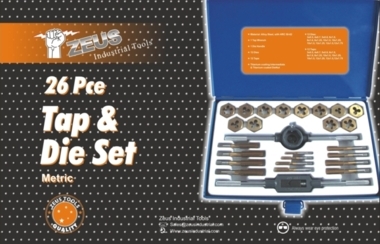 Why choose Zeus Tap & Die Sets? Imperial UNC & UNF sizes, we include all the common sizes from 3/16" to 1/2"
There's nothing worse than buying a common kit & when you need a certain size, it's not there ! The Guided Die stock, this is a great benefit helping you keep your thread aligned. 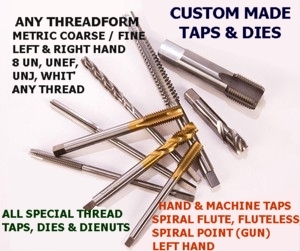 All Intermediate Taps & All Die Nuts have been Titanium coated. 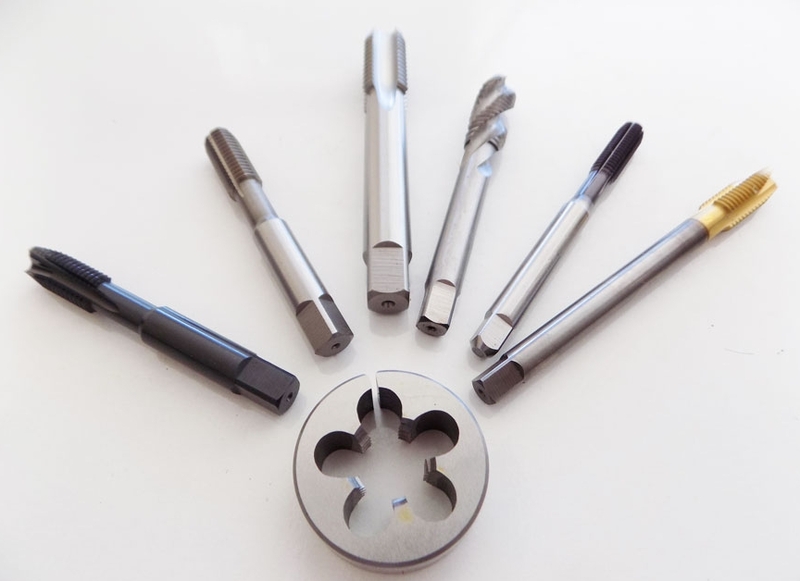 Titanium coating adds great benefit in increasing tool life & cutting performance to your Taps & Dies.